Phil's and his amazing stories are back! 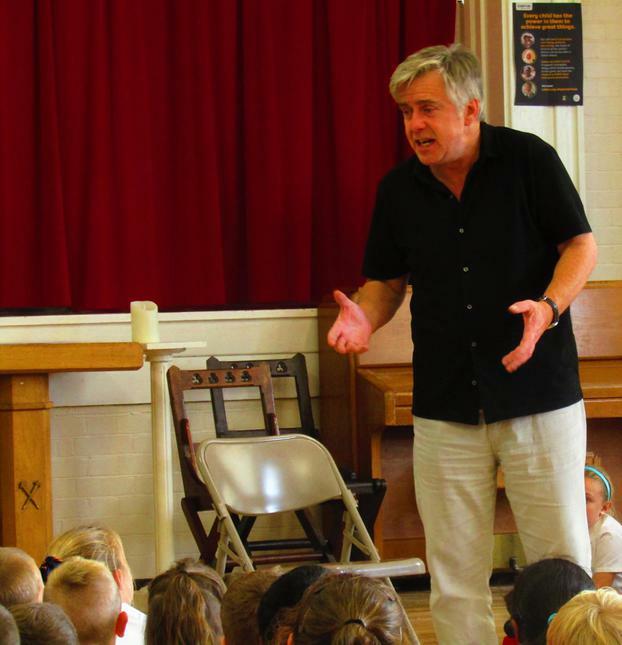 Our storyteller Phil McDermott is now back in school, entertaining the children with stories from far and wide. Continuing from last year's successful stint, Phil has once again managed to capture the attention and the imagination of students across the school (and also by some of the reactions in the assemblies; he even has the adults hooked on every word). Parents, carers and guardians are more than welcome to join us in the Hall at 2:45 every Tuesday.